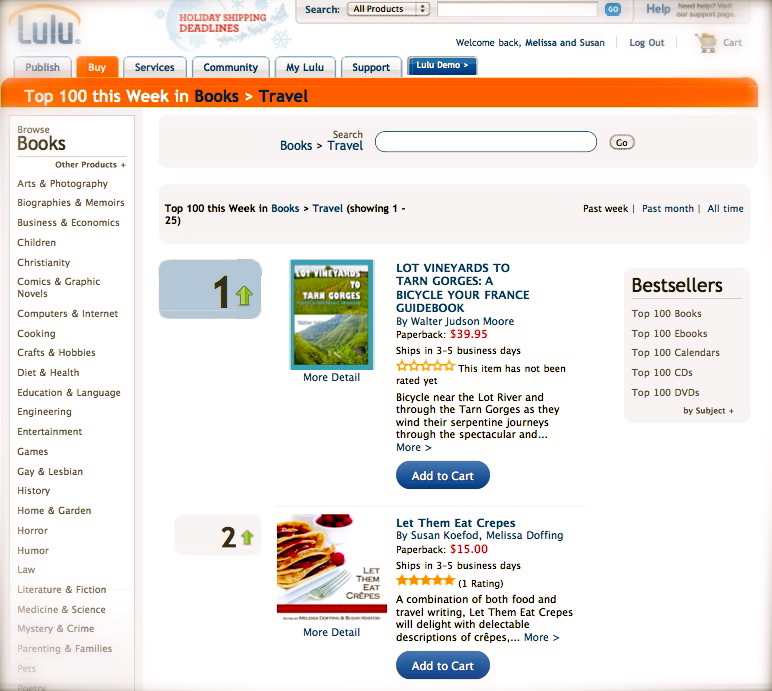 >Let Them Eat Crepes is #2 in Travel, #97 overall in lulu sales rankings! We’re so proud! Thanks for purchasing Let Them Eat Crepes!